fjtheman2005 - Colorado Jug is fine, hose leaks! 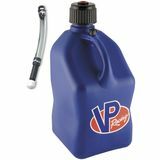 "I hate to give this product one star, but the stroker hose that came with mine started leaking after just a few months. It's a little pricey for that to happen. The jug itself is fine. I'm not very happy with the plastic air release - if you tighten it too much, it leaks as well. I'm usually left with my hands and my bike covered with gas. I'll be looking for another brand to try." 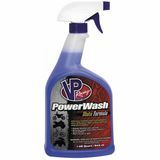 Chris - NC Good Product "Cut old mud right off of a recent ATV purchase with very little scrubbing"